simple setup and basic ui to process and recover files...they did a great job of making it easy to get going and run scans on drives and folders. and like i said, they made it simple. i appreciate this part of it. i like to be able to get in and start the process and find the items if they are recoverable as soon as possible. not much...this does a lot on the simple side of things. the initial level does not offer as much ability to recover some specific files. like all other data recovery software, Recuva failed to find deleted files on a solid-state drive (SSD), where I deleted files and then emptied the recycle bin. Recuva is attractively priced and easy to use, though it can't dig in quite as deeply as higher-priced data recovery software. The nice thing about this software is the ease of use and simplicity. Some might want something fancier to look sleek and flashy, but this does the job for quick file recoveries. I think it will benefit you or your company even if it's not your only solution for file recovery. I would recommend to try it first and then decide if it is want you need to help with minor issues of loss. recovering deleted images needed for review. we don't currently use for backup or storage, and i have yet to test it out for the newer feature of cloud implementation. "It allows to recover data or any type of file that has been permanently deleted or deleted." Several advantages: 1) very intuitive graphic interface, easy to understand and manage, 2) it is available in several languages, including Spanish, 3) you can recover the files one by one or in batches, 4) it has portability since it is it can load in external device, 5) it has an assisted mode and a manual one, 6) it can choose the depth of the scan and 7) it is free and it does not have publicity. Perhaps as a disadvantage it can be mentioned that although it allows recovering lost data from a PC or from an external memory unit, it has the limitation that said data must have been deleted "recently" or else it is possible that new data are located where they previously lay the old ones and, therefore, can not be recovered in any way, in general, it is not the most complete of the programs of this type, but it does the job well for the average user. It is recommended "with closed eyes" its use, especially for its easy to use and excellent support that has the company Piriform, even at the web level. The main benefit is that it allows us to recover data or files that we have deleted by mistake or that need to be used again, it is also from the creators of CCleaner and that is already an advantage of operation. "Not always user-friendly but super simple free tool for recovering data"
Recuva is relatively easy to use and is really quite powerful. If you know or can figure out what you're doing, it can save you a lot of data (and grief). Although I'm not sure there's a way around it with a program like this, even the step-by-step walkthrough that (optionally) runs at startup can be a little difficult for those without much IT experience or knowledge. Keep in mind the limitations of any program like this. Files can only be recovered if the cluster on the hard drive has not been overwritten yet. Also, if you take a little time to check out the documentation and learn the options, you can sometimes find previously unrecoverable files. We have several shared drives that are accessed by others and have occasionally had issues with users corrupting or deleting files. This has often helped us to recover those files. "Never lose another file because a simple mistake"
it's easy to use, the program itself guide you everytime you need to search for a delete file. you can do a light search or a deepscan wich show you almost every file you delete in your pc. Once you find your files you can export them to another location (preferable). sometimes the program shows you too many files, wich makes the process a little tedious. Depending on your PC and the type of search (light or deepscan) the process can take a really long time. Not all files shown can be restore properly. the files that you can restore are the ones you accidently deleted or get deleted by any reason, any loss of files because a hardware problem can't be restore with this software, so be careful with that. I'm restoring old data that got deteled by a virus, so i'm saving a lot of money to the company and a lot of time and work to me. "Middle ground file system management"
What I like best about Recuva is the ease of use and visual design. I love that I am able to sort through the data recovered and can ask Recuva to dig deeper if I don't get the results I was looking for in the quick recover command. What I dislike about Recuva is that, some times, usable recovery results can take an extremely long time. I fully recommend using Recuva if you have files that were recently deleted, especially if working from a thumbdrive or external hard drive. The business benefits are that I am able to quickly perform recovery tasks for free. This has helped when trying to recover lost client files that were stored on a thumb drive. I have tried numerous free and paid recovery software and I keep reverting to Recuva because I am able to retrieve data and able to sort through what I want to find by media type. For example, I can search for video only or zip files or images individually. No other free software I have tried gives me the results I want. "Recovery made easy and fast." It is easy to recover some time the files are deleted and we had no clue how to recover the files these is the best way to recover files, photos etc. It has no very high technical option any non technical person can also recover the deleted files. It can recover data deleted from mobile phone also just connect the mobile to computer system and analyse with easy options. It is very help full for recovery. It can laso recover files from USB pen drives. Some time the recover not work. It only recover half data files which not work. It the file can not be recover do not show the half recover file. It helps to recover the deleted files and document of important official work. "Recupera gran parte de tus elementos eliminados!" Me parece una excelente herramienta para recuperar todo tipo de información borrada por equivocación o desde hace un tiempo atrás. Realiza un escaneo de todo el disco y descubre que tipo de datos puede recuperar y cuales no. Una posible solución para restaurar archivos. Es gratuito y tiene si no me equivoco una versión extendida que es paga posee mejores beneficios. La recomiendo creo que es una de las mas completas que he podido usar a comparación de otras que no restauran nada o los archivos son ilegibles para el usuario. No debería mostrar los archivos no recuperables o dañados. 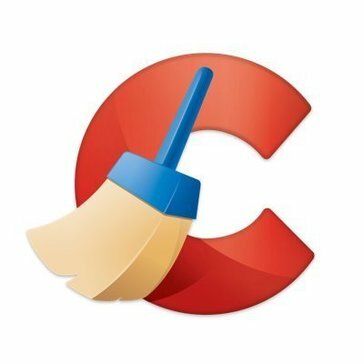 Permitir la integración con la aplicación ccleaner creo que ambas pueden trabajar como una sola aplicación. Restaurar un documento importante para la empresa borrado por equivocación o de forma intencional. Una herramienta que te saca de apuros y te da la tranquilidad de que es posible recuperar archivos eliminados desde hace un tiempo atras. "Helped me recover some files and documents"
This program was a lifesaver! I realized that I had deleted an important excel file and it was also removed from my trash bin. I used this program and was able to recover it. This is a great free program that was created by a trusted company. I also thought it was nice to have little explanations for each option. It did take me a while to scan my computer however, that was probably because of the many files I have on my computer and I also selected " deep scan". Would definitely recommend. It is easy to download and does not ask any personal information. It is also free and you are able to upgrade if you want to use more advanced features. Great for basic image, music and document recovery. Recover photos from a corrupted SD card and also able to recover important quote files. "A quick and easy way to recover accidentally deleted files"
Recuva is very easy to navigate and use. Sometimes the deep scan takes a bit longer than I'd like. It definitely helps to know where files were originally kept. Free version is great for personal use, but please consider supporting Piriform by purchasing the 4 in 1 bundle. It's only $40 and keeps the software available for everyone. The only problem solved is really just accidentally deleted files. We have saved time and money using Recuva ourselves vs a professional data recovery service. "Simple, Affordable, and almost reliable"
Simple interface and there is a free version. The professional version is only $20 I believe. The program does is quick when it scans, even the deep scan is quick (usually a minute or so). The wizard is very simple to use and takes you through a step by step process. It is not fully reliable. you may not be able to recover every file, even with the deep scan. Definitely do not expect to recover anything from a solid state drive. I would keep this software as a first line of recovery as it is quick and simple, but do not be completely reliant on it. Have backups in place and an alternative software to go to. Use the free version but have a better payed version of something else. Quick recovery for files that are accidentally deleted. Not spending any money, but getting enough performance to get the job done. "Best free data recovery software we've come across so far." Like Piriform's other software CCleaner and Defraggler, Recuva is relatively easy to use for even non-experts but has vast capabilities for more careful data recovery. Love all the options, and that it works consistently. There's nothing really to dislike. It doesn't always work, but that's a result of how data reading and writing works, not a shortcoming of the software. Taking the time to understand how data reading/writing works will help you use this product more effectively and understand it's limitations. We maintain several fileservers with data collected via research and several times, a user has inadvertently corrupted or deleted data, so we've used this software to recover it. Low price. Free version available. Beautifully clear interface design. Preview screen. Not as powerful as for-purchase alternatives; reports files as "unrecoverable" that are still on the hard disk in the same location. "Works to recover some things, not others"
It has an easy-to-use interface which allows most users to recover some files. You may find that this program will work for most of your issues. If you need something to help further, look at TestDisk & PhotoRec from cgsecurity.org. Some of my customers need simple data recovery which this free program does well. I have used it for several years and find it useful mainly because of its interface. "Recovering your crucial data for free"
I like the overall platform and the simplicity of the software. With any software, there are limitations since it is a free software with the option to purchase the pro version. I do not like the additonal items they attempt to install when installing the software to begin with. If your business is impacted by data loss or document loss, Recuva is the ultimate tool to handle this. We have saved almost around 100 hours of work due to document loss. Recuva provides a great solution for those on a budget. The ability to recover files that were deleted and having peace of mind that files can be recovered. I am not a fan of the automatic updates. I would prefer to update the software manually. Recovering files from a network drive that were thought to be gone forever. "Super useful software. Must have"
I like everything about it thus far. Must have! Piriform's software is intuitive and easy to use. I find it convenient even for a novice user. In my experience EXT2 and 3 file systems were inaccessible by piriform but as I understand, this flaw has been ammended. As with all IT solutions, Google can be our greatest asset. I've found piriform useful for recovering flash drives that have been damaged or otherwise corrupted, this has been a massive benefit in saving important files. When doing freelance IT work for small businesses, one of the most common requests it to "find" files that were accidentally deleted or that were "lost" during a crash. While Recuva can't restore everything, it's an incredibly simple recovery tool that more of than not is able to recover files that the client was sure were gone forever. Standalone base cost is a little high but can be found as part of a bundle through Piriform. If you're curious, make sure to try the free trial. I like to recover with recuva, it helps to avoid any common misteps in data recovery. "Probably best free option there is." Recuva is a nice free option. It works for the most common file types you would need to recover. Recuva could be a bit more powerful. It is intended for ease of use but it would be nice if it worked for a power user as well. It is worth trying because it is free. This is a great place to start. It should work for your most basic needs. I have used this on occasion in IT when people have deleted data they did not intend to delete. Everything it gave me a virus and now I have to reset my phone and lose all databases! Noting the software is awasteof time. It should have cleaned or cleared my upmost files. "Recuva is solid software to recover data after a hard drive fail"
my main complaint was that it took a very long time to complete the recovery, but this is a nil complaint since this a necessary part of all data recovery. It's a simple and effective tool to get the job done. It is reliable at recovering partial or full data from drive failures. "Un gran programa para mantener el pc limpio"
Para mí la facilidad con la que se puede gestionar el programa, así como te da opciones más avanzadas por su lo deseas. Ideal para limpiar el pc a fondo. Easy to use. Would try again in the future. Wasn't easy to find when I used it. Found by accident. More personal use than business problem. The company I was with at the time didn't centralize purchases for anything. I'm always looking to try new technology for comparison purposes. I've used the android cleaning product, so gave this a try. "Great to clean your ram"
Clears the RAM on the device and boosts the performance. Sometimes clears Cache along with RAM, which is sometimes annoying. * We monitor all Piriform Recuva reviews to prevent fraudulent reviews and keep review quality high. We do not post reviews by company employees or direct competitors. Validated reviews require the user to submit a screenshot of the product containing their user ID, in order to verify a user is an actual user of the product. Hi there! Are you looking to implement a solution like Piriform Recuva?